Well, these films have drastically changed. Hard to believe that they’re in the same universe. The first one was “fathomable”. Cloning and creating. The 2nd was interesting as Isla Muerta was suddenly introduced, when we only assumed there was 1 island. That wasn’t horrible either, as it was hunters trying to bag a T Rex along with a crooked company. The reason why the first 3 Jurassic Park movies looked more realistic was because they used a good balance of cgi and animatronic robots from Stan Winston studios. Now the movies are all cgi. Its like first one was cool, making a dinosaur park. Then it fail. Second one was hunters wanting to bring dinosaurs from the second island to sell. T. rex got loose and hunters plans got ruin. 3rd one was about missing kid. And again someone stole egg to sell to rich people or military. Forgot which one. That failed. World is about park finally becoming successful but people got bored and military again want dinosaurs as weapons. That failed. Do these people ever learn? Guess not cuz here come again making a dinosaur to become a weapon. Let’s be honest… even in the original movies (including the first one) the story line was never really the strongest part of the series. As kids 99.9% of us had no clue what was even happening lol. All we cared about was dinosaurs! It was the first movie to bring us dinosaurs we swore were real! Let’s not forget all the fun toys that came with it. A few months back I rewatched the older ones and I noticed how bad the script were. 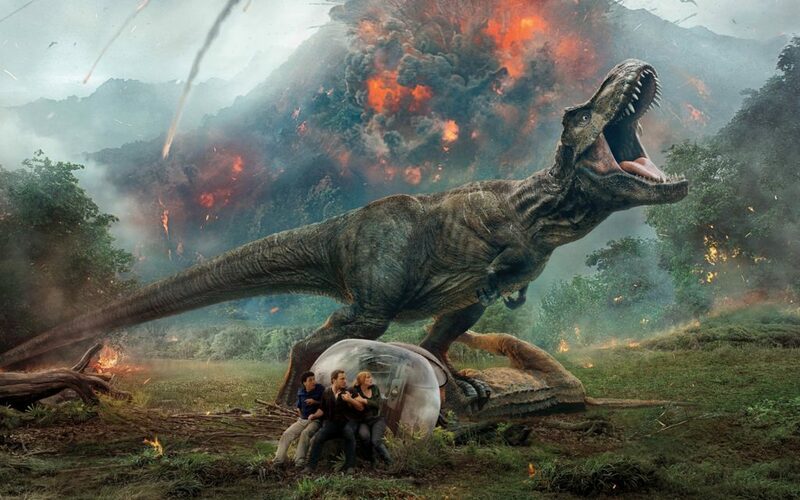 How horrible the acting was and yet I still found myself feeling like a kid when dinosaurs took over my screen. So we get it… some of you arent too excited. But don’t argue with the ones that are! Some say it’s like the lost world. Where if they went back to the old park and focused on that it would of been like the other older movie. There isn’t much to do with it mirroring a previous jurrasic park flick.